Do you strive to be an emerging leader in Kent County? The Central Delaware Chamber of Commerce’s Leadership Central Delaware Program (LCD) will inspire growth and help shape you as a leader in your organization and in the community! 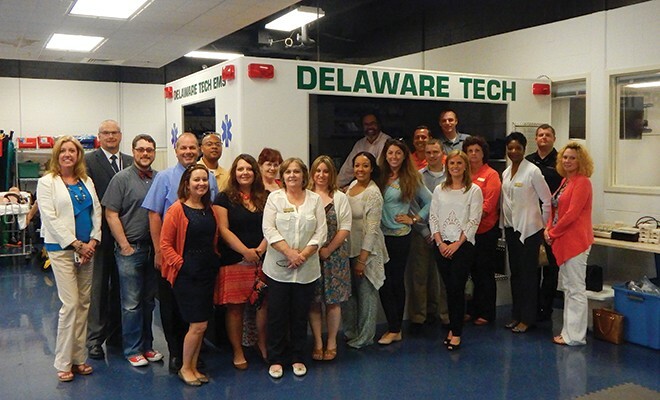 LCD is designed to take a diverse group of future leaders in the area and educate them on the resources, services, and opportunities available in the Central Delaware region. It is an amazing program that provides future leaders with a working knowledge of the County and an extraordinary network. This ten-month program begins in September with an opening retreat focusing on team building and leadership skills. The class will meet the first Thursday of each month, October through June, for a full day of exploring economic drivers, community awareness, and business development topics. The final day includes a program evaluation, a self evaluation and leadership training that includes goal setting, time management and much more! If you are an individual wanting to be a future leader in your organization, apply for the LCD Program! You can do so by calling the CDCC Office at 302-734-7513.